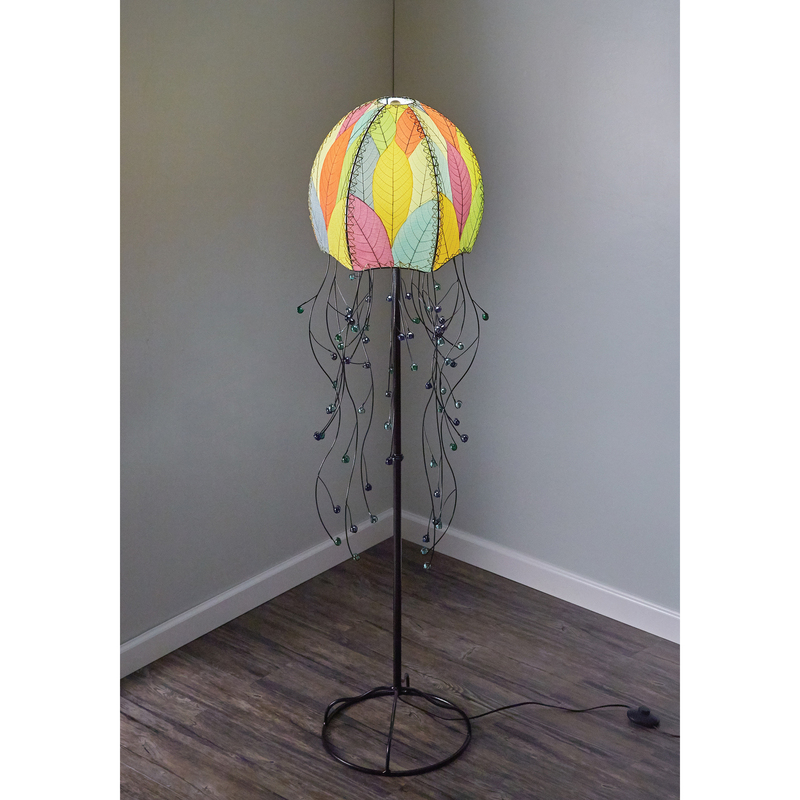 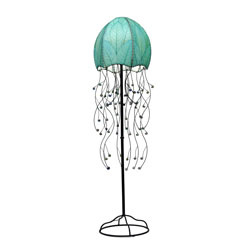 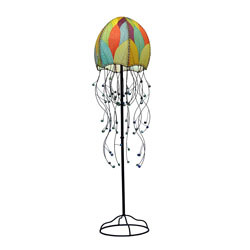 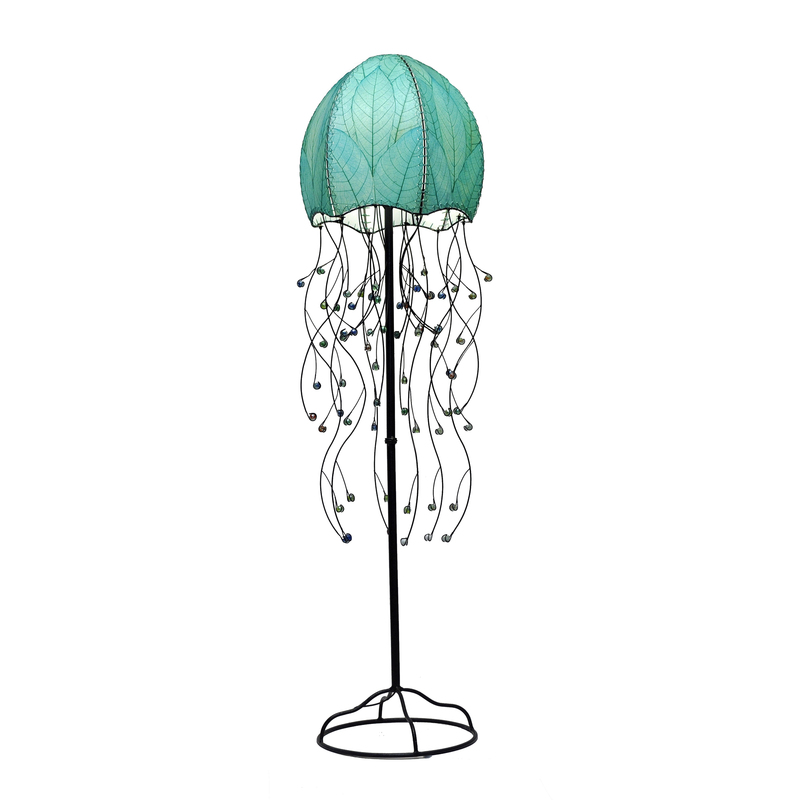 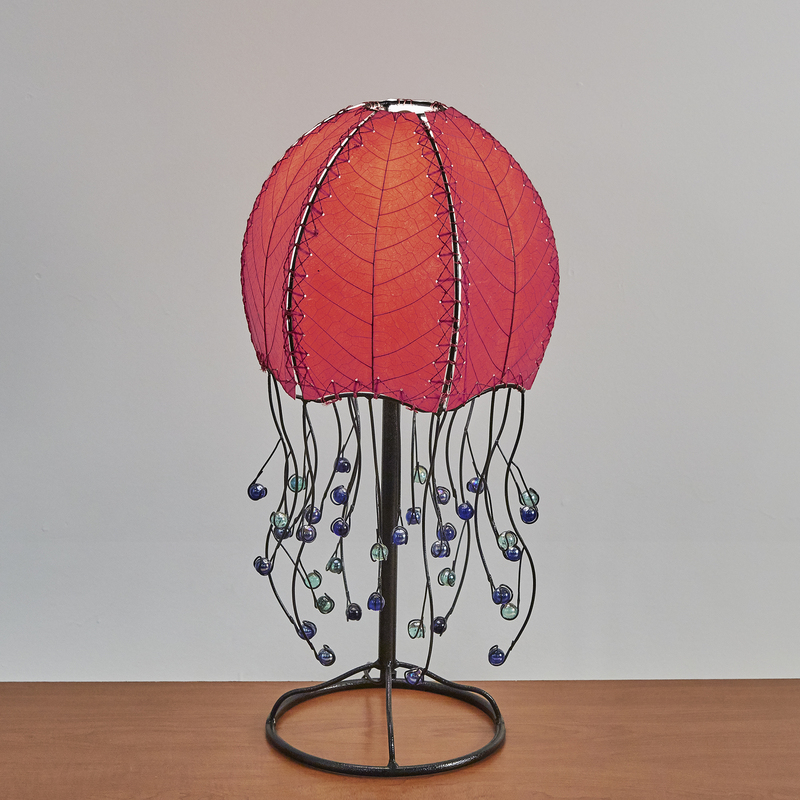 The Jellyfish lamp is unique and self-defined. 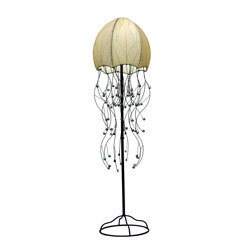 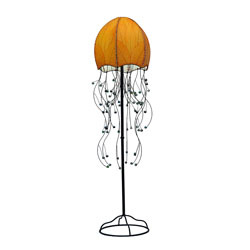 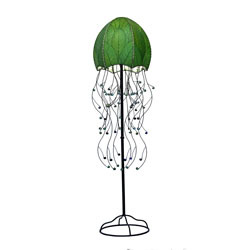 Designed to mirror the free-swimming marine animal, the domed shade is covered in real fossilized cocoa leaves and each wrought iron tentacle grasps a single glass bead stinger. 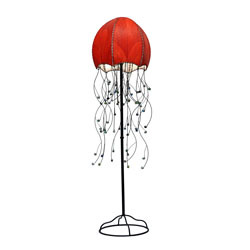 This lamp is sure to create a lasting first impression.